A vintage needlepoint design adapted from a 1920's French magazine called La Parisienne. 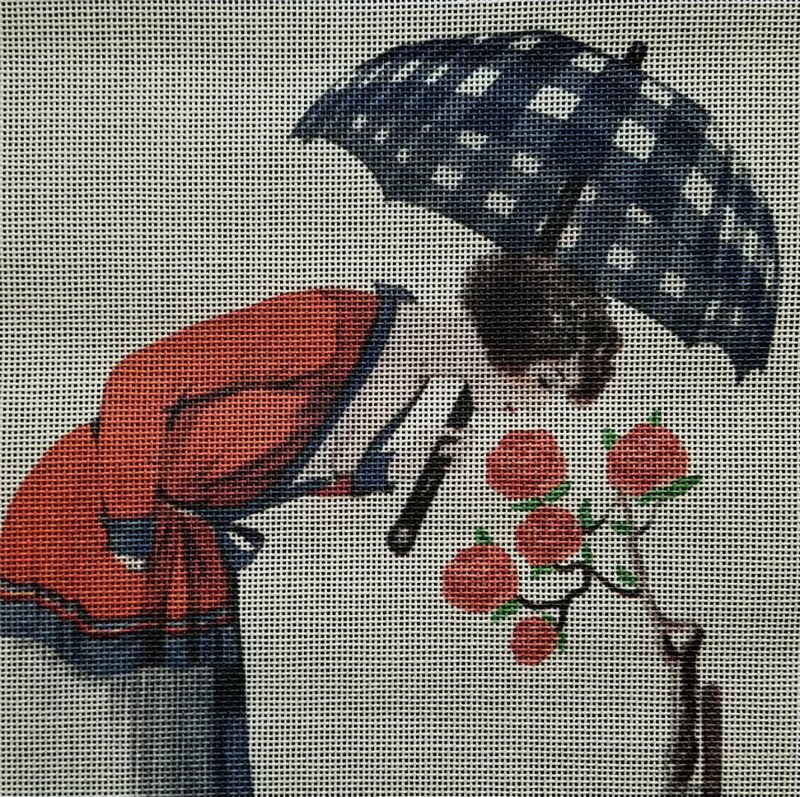 This fashionable lady of the era holds a blue and white plaid umbrella and smells the roses! The needlepoint design is color-printed onto 18 mesh canvas and measures 8" x 8". It is available canvas-only or with threads so make your selection from the drop-down menu. Cotton is DMC floss and silk is Pepperpot. If you want to hold the canvas taut on stretcher bars while you stitch it then we recommend two pair of 11" and some thumb tacks. This vintage needlepoint fashion design is suitable for an intermediate stitcher. SHipping is free within the US for orders of $ 100 pr more. Please visit our shipping policy for further info.